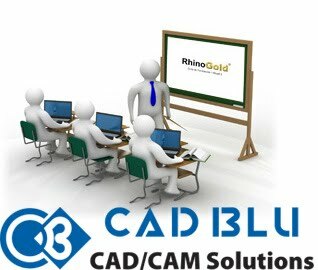 Cadblu.inc is conducting an intensive 4-day RhinoGold course at their office in New York City. Designers will have hands-on experience using Rhino and RhinoGold in their jewelry design and analysis process. The course is designed to reduce the learning curve and to provide the designer with a forward push into digital jewelry design and high end rendering. Registration: Contact Lucy Trevino or call (212) 481-8700. Seats are limited; sign up today. * All assistants get a US$200.00 coupon to use for prototyping. Contact Cadblu.inc for details.